Our Moving Testimonials page is now live! We have started gathering moving testimonials from our customers! Now you can see firsthand what people think of Great Nation Van Lines and our services! If you live in Virginia, Maryland and DC, visit our Free In House Estimate page and book your professional visit today! 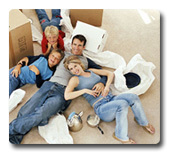 We will prepare a No-Obligation FREE Instant moving quote. Just fill the Quick Free Moving quote form on the left and get your moving estimate from a professional moving company - Fast and Easy!. We are local Washington DC, Maryland and Virginia Movers as well as interstate movers on the East Coast and Mid West USA. Great Nation Van Lines specializes in moving homes, apartments and corporate moves. Professional DC Movers with years in experience providing top moving services. We are Licensed and Insured DC Moving Company with rock solid reputation. Our DC Movers are perfectly trained. Department of Transportation so you can have a stress free smooth move. FREE No-Obligation Moving Price Quote.. Perfect deals by the Best DC Movers. 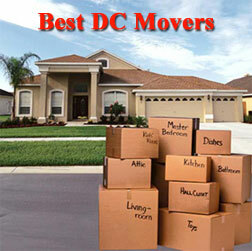 Learn more about our special prices and get you DC Moving Company quote now. Affordable move in Maryland. Super Maryland Movers Prices. Get your Maryland Moving Company Quote now. Fast and secure, we are the professional Virginia Movers that you need. Get your Virginia Moving Company Quote now. We provide packing materials and moving boxes on site. All moving trucks are fully equipped with packing and padding supplies. At Great Nation Van Lines every move is important. Great Nation Van Lines will tailor your move to the needs of you and your family. No move is too big or too small. Great Nation Van Lines is one of the most experienced companies in the moving business for the East Coast of the USA. Our array of services - from packing and supplies to storage and installation - will make your moving experience smooth and worry free. Our standards of safety and professionalism guarantee, that every move is a quality move. We are serving Washington DC, Maryland, Virginia, Pennsylvania, and we are ready to make your move as easy as possible, so you can have peace of mind, while we transport your belongings. We are the exclusive Northern Virginia Movers that will provide you with affordable DC moving cost. Our customer satisfaction is over 97%. Try Great Nation Van Lines for your upcoming move. The Great Nation moving company is a licensed and fully insured professional moving company for both residential and commercial moves. What can the best DC Movers do for you? 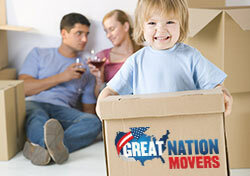 Moving is EASY with Great Nation Van Lines! Yes, because we are the best DC Movers, MD Movers and VA Movers, you can be sure that we will move your belongings fast and secure even in the shortest amount of time. Our Professional Movers are carefully selected and perfectly qualified. Our services also include moving to Virginia and moving to Maryland. If you need to move to or out of Northern Virginia, then our Northern Virginia Movers would be in great help to you. With many years in experience and honest service, your move will be nothing but successful. Enjoy the reliable services of the best DC moving company in the area. Best Movers DC - Best Movers Washington DC! You may be wondering why do we consider ourselves to be the best movers Washington DC can offer? Well, several things: we have the best movers DC can offer because we train them ourselves; we have the best movers Washington DC has to offer because we manage our teams in such a way that they are quick, efficient and trustworthy; we have the best movers in DC simply because we have accumulated the experience needed to provide our customers with high-quality services without changing our affordable rates. We maintain an excellent reputation on My Moving Reviews as we care for each and every of our customers. Call us at 18004037552 now to book your smooth home transition with the best movers in DC - Great Nation Van Lines! We are one of the best Maryland moving companies with professionalism and expertise to handle local and interstate moves both residential and commercial. Also, for Local Potomac Maryland movers check our web page. Moving in Pennsylvania just got easier. Try the professionals at Great Nation Van Lines to help you move fast and easy at affordable Pennsylvania moving costs. As we are rated one of the best Pennsylvania Moving Companies, your belongings are safe with our well trained moving teams. Having the best DC movers for your upcoming move is essential. Get your move at affordable DC Moving Cost - Great Nation Van Lines gives the best moving rates with premium quality of moving services for complete customer satisfaction. Your discount Virginia or DC moving cost is just a click away. Just fill the free moving quote form on the top-left of the page. Check out our new website and get a Free Moving Estimate by clicking HERE. We are highly experienced Maryland Movers and Local Baltimore Movers. We operate in the Maryland, Virginia and DC areas. Because we are highly experienced Baltimore movers, you can be sure that all of your belongings will be moved fast and safe by our experienced Baltimore movers. Get a free move quote from us now and enjoy your fast and smooth Baltimore move. Local Virginia Movers that can move your belongings fast and safe. We train our Virginia movers, so that every single move is handled perfectly and with complete customer satisfaction. 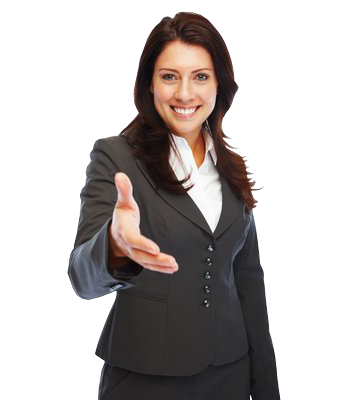 Our mission is to become the best Virginia movers and we can assure you that we are very close to achieving our goal.